A WAMP favourite this event engages the media arts and musical community and encourages collaboration between artists meanwhile raising the profile of local music. 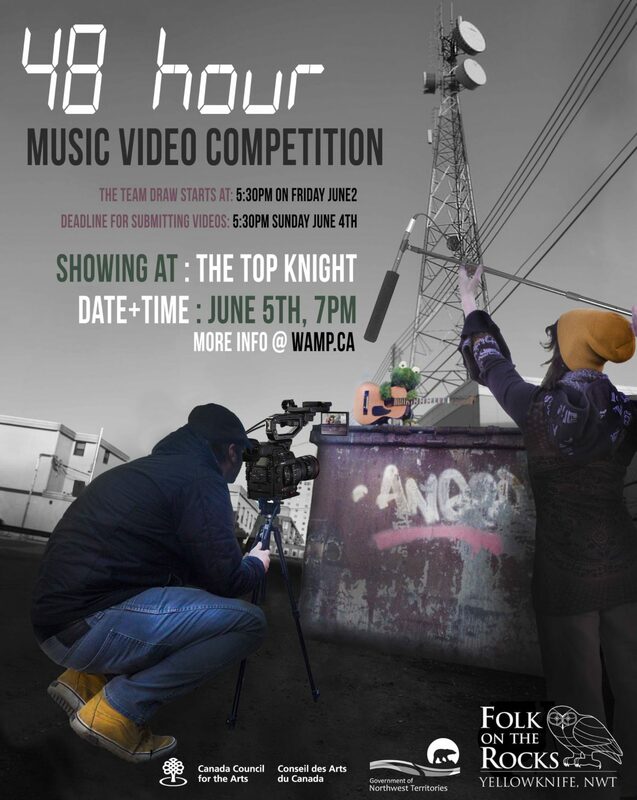 Musicians and Filmmakers meet at WAMP and draw to see who they are working with and then have 48 hours to create a music video. The video’s are then judged by a panel of experts and prizes are awarded. NOTE FOR BANDS: In the case that there is an odd number of Musicians to Video Teams, bands that are not pulled in the draw can use their registration fee towards WAMP membership fee, rentals, or film festival tickets.